Home » » TITI BELO presents her Summer 2013 collection ENVY. TITI BELO presents her Summer 2013 collection ENVY. 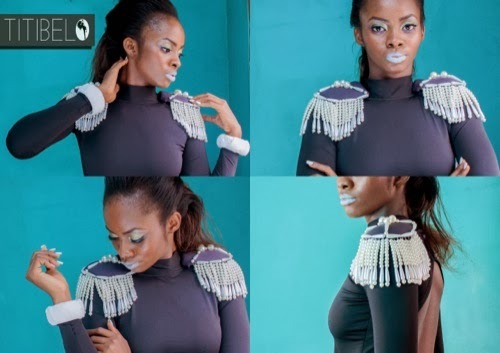 Self named fashion brand, TITI BELO is a budding fashion label which started in 2012. 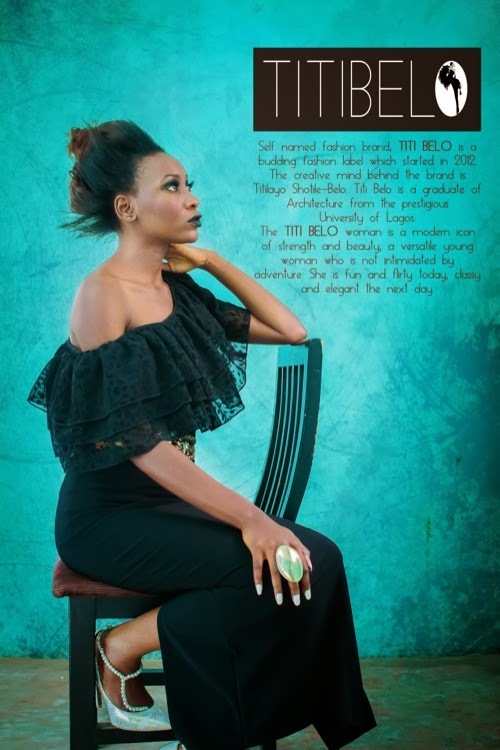 The creative mind behind the brand is Titilayo Shotile-Belo. Titi Belo is a graduate of Architecture from the prestigious University of Lagos. The TITI BELO woman is a modern icon of strength and beauty; a versatile young woman who is not intimidated by adventure. She is fun and flirty today,classy and elegant the next day. TITI BELO presents her Summer 2013 collection ENVY. The collection is made up of several pieces which reveal areas of the body that most women do not feel confident enough to flaunt thus making the wearer a subject of ENVY. It radiates sensuality,energy, modernism and feminity. The collection experiments with textures, silhouettes and sculpted cuts; featuring sheath dresses, culottes, fitted high-lo dresses with *peak a boo* cutouts. Other key looks include the military-inspired and pearl embellished play-suit, the reverse evening jacket with stringed pearl detailing and the knotted high-low dress with a surprising twist. This collection is made available at the Flagship store, 9 bolashadipe street, off adelabu street, surulere lagos or email titibelo87@gmail.com.